Unreal Lawns supply and install artificial grass in Leeds and the north west of England. We serve domestic and commercial customers in the area, with products suitable for a wide range of applications from outdoor spaces and gardens, to event areas, exhibition space and more. See below for some examples of projects we've carried out in the Leeds area. 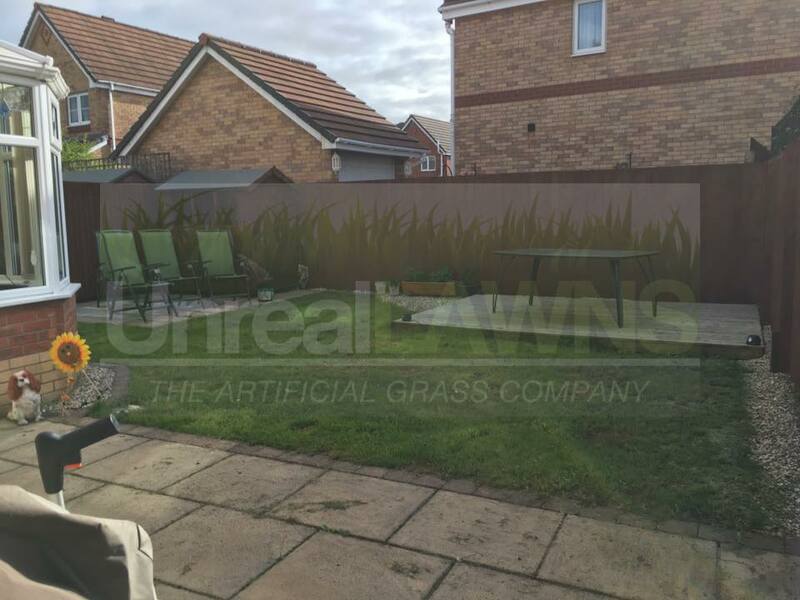 A customer in Leeds approached Unreal Lawns to help save them from their boggy lawn nightmare. 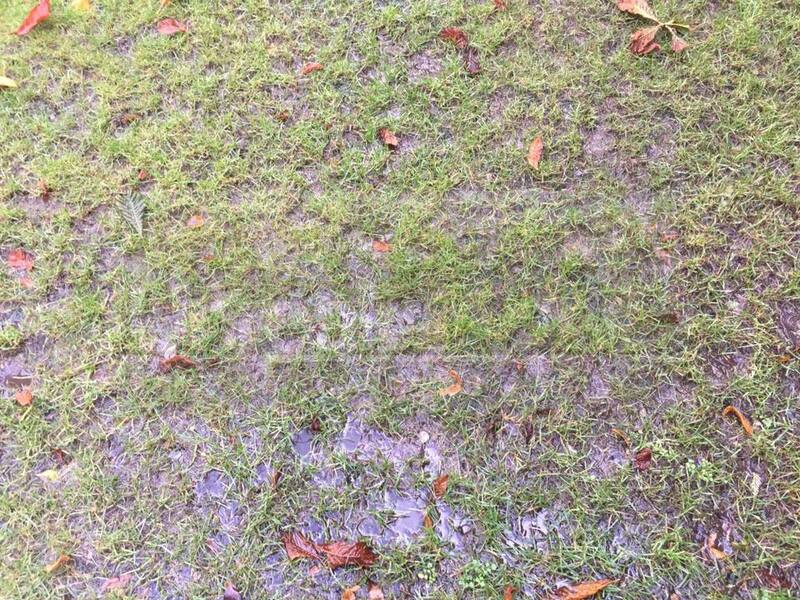 As you can see from the photos, the existing lawn was extremely waterlogged and muddy, which prevented the owners letting their dog out in the garden. However, this problem was soon solved with the installation of our artificial grass. The customer chose our Supreme artificial grass product, and as can be seen in the photos, the garden is now neat and tidy and suitable for use by the dog all year round. Both the customer and their dog were left delighted with the installation and the transformation it’s made to their garden. Unreal Lawns completed the installation of artificial grass for this customer’s front lawn in Leeds. They were looking for a maintenance free lawn that they could be proud of all year round. The use of artificial grass provided the perfect solution to the customer’s needs. Here, we used our top of the range Supreme 38mm artificial grass, along with the ever-popular Indian flagging around its edge. 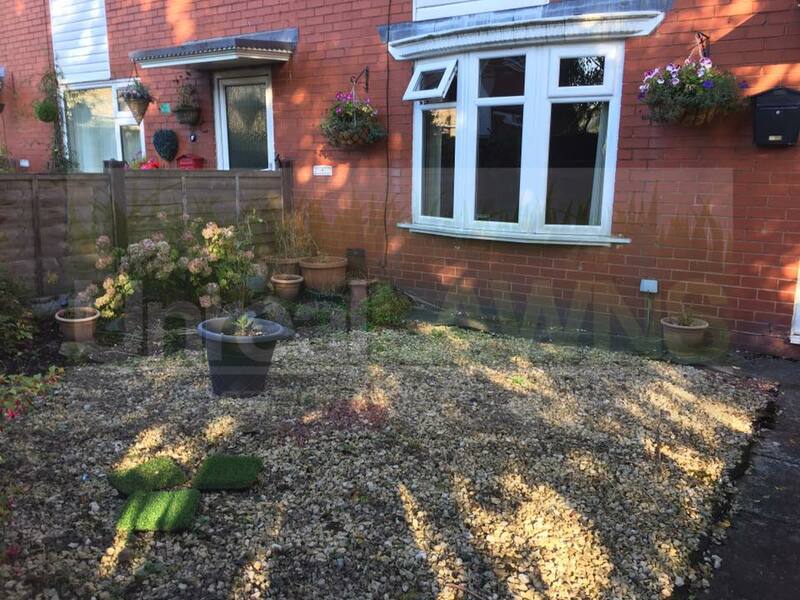 The result is a simple but attractive and neat front garden that the customer was over the moon with. This lawn in Leeds has had to put up with heavy use throughout the year from children and dogs running and playing on it. As winter came, the existing lawn became muddy, which was then brought into the house much to the customer’s despair. We were called to come and install our artificial grass to replace the old and muddy lawn. Now the garden can be freely used by the children and dogs, without the worry of mud being brought back inside.